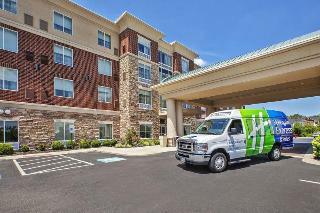 This hotel enjoys a strategic setting a mere few minutes' driving distance away from Dayton International Airport and Hara Arena. The hotel provides guests with the perfect setting in which to enjoy restful slumber before or after taking a flight. 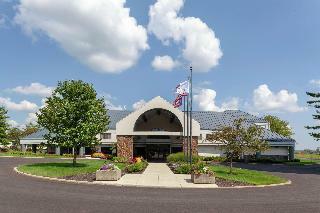 The hotel is located in close proximity to many points of interest, including the National Museum of the U.S. Air Force at Wright-Patterson Air Force Base, the University of Dayton and the Dayton Art Institute. Business and leisure travellers alike will appreciate the comfortable surroundings, relaxing guest rooms which come complete with modern amenities, as well as the hotel's selection of convenient facilities. New hotel with free breakfast, free high-speed Internet access, and microwaves and refrigerators in all rooms. 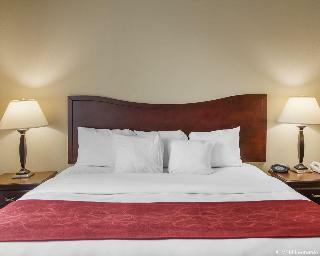 Conveniently located in the charming surroundings of Dayton, Ohio, guests at this hotel will find themselves amidst a myriad of opportunities for adventure and discovery. Guests are invited to travel back in time with a visit to the National Museum of the United State Air Force, deliberate over elegant paintings with a trip to the Dayton Art Institute or practice some rounds at one of the numerous golf courses located in the nearby area. After a busy day of touring the sun-filled surroundings, guests can relax and unwind in the elegant surroundings of the hotel guest rooms. Offering ample space and modern furnishings, the guest rooms provide the ideal setting in which to relax and unwind. An ideal hotel for business and leisure travellers alike, this hotel provides professional service and high-quality conveniences. 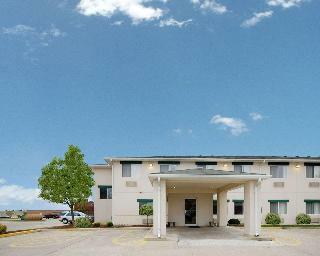 This charming hotel is located in Dayton. The total number of units is 111. Pets are not permitted on the premises. Located in Downtown Dayton, this hotel is within 1 mi (2 km) of Benjamin and Marian Schuster Performing Arts Center and Dayton Art Institute. University of Dayton and National Museum of the United States Air Force are also within 6 mi (10 km).